This was taken from a very helpful article over at skabber.com. I develop on a lot of machines and transferring Apple developer certificates is an absolute pain! — Thanks Jay! You saved me heaps of time! If you ever need to install a certificate into the OS X Keychain on a remote machine in such a way that Xcode can sign a build with it, then this command is for you. This allows you to not get that annoying “Always Allow” dialog the first time you try to use the cert to sign a build. This article has been copied from DailyOSX.com (https://osxdaily.com/2010/08/10/forgot-mac-password-how-to-reset-mac-password/) only to preserve it! Thank you Paul Horowitz! This very article saved me after upgrading to Mac OSX Mavericks Preview 4. The install went fine but then after the reboot, it wouldn’t let me login. I didn’t forget my password – it just wouldn’t accept it. After keying in my password, it would think about it for a while and then go back to the login screen. Even resetting my password on my normal account didn’t help – same result. 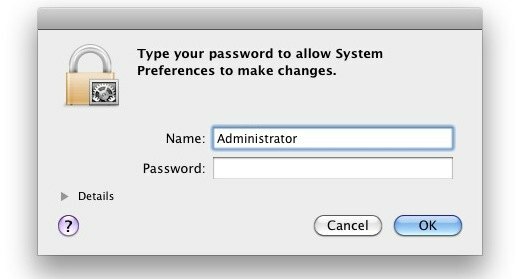 Using this article, I was able to create a new admin account using the section titled “Reset Mac Password – without a CD or Boot Drive”. The new admin account logged in and out just fine, but not my normal user account. This article ultimately allowed me take back control of my system! I logged in with the new admin account, ran the software update to Preview 5 and hey-presto! My normal account worked again. Did I say “thank you Paul Horowitz”? So you forgot your Mac password… uh oh. Don’t worry, it happens and you aren’t out of luck. You’ll need to reset the forgotten password and there’s several ways to do this, we’ll focus on the three best methods; the first is dirt simple and will utilize the Apple ID (yes, the same on you use for iTunes and App Store purchases), the second method is a hack of sorts and does not require a Mac OS X recovery drive or CD and is guaranteed to be effective, and the third trick is fairly simple but it requires either a Mac OS X DVD, boot disk, or Recovery mode partition to use. Use whichever method works for your situation, but whichever method you choose you will have your password reset and gain access to your stuff again. This is the best approach for Mac users running new versions of OS X (Mavericks, Mountain Lion, and Lion) because it’s extremely fast and simple. The only requirements are that you must have tied an Apple ID to a user account, and you must have internet access so that the Mac can contact Apple to initiate the reset procedure. That was easy, right? Indeed, the Apple ID password option is the fastest and simplest method available to Mac users, and when that option is available it’s the preferential method. But what if you don’t have an Apple ID attached to the Mac account? Or what if you don’t remember that password either, or if there’s no internet access? If you find yourself in a situation where the Apple ID approach is not possible, don’t worry, because that’s what we’ll cover next. Enter a new password for that user, be sure to include a meaningful hint so you don’t forget it again! Optional: If you’d like, you can delete the temporary account you created to reset the users password. This is wise for security purposes. Here’s how this works: by deleting the .applesetupdone file, you are telling Mac OS X to re-run the setup wizard, which by default creates a new user account with Administrative abilities, which can then reset the forgotten password of any other user on the Mac. This is a great trick and excellent troubleshooting technique if you don’t have a Mac OS X installer CD/DVD laying around, which is pretty much the norm as many people tend to lose or misplace the installer disks that come with their computers. I have used this exact method multiple times to restore various Macs with forgotten/lost passwords. 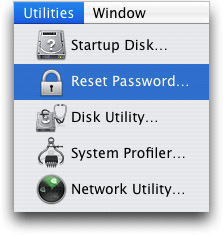 Resetting a forgotten Mac password is pretty easy if you have an installer disk, drive, or the recovery partition handy, which method you use here will depend on the version of OS X the Mac is running. Reboot as usual from the hard drive, using your newly reset password as the login! This older trick is borrowed from our article on how to reset a lost password with a CD. These boot menu methods are obviously easier than the #2 manual trick, but whether or not they will work for your depends on if you have a recovery partition (all new Macs do), or with older Macs, if you have a DVD installer laying around. Because we’ve covered solutions for every possible situation though, one of these options will work for you to reset that password and be using the Mac again.